Look at how curious she is with her new toy hahaha I take it off when she sleeps. I don't have an idea where this trend started but from what I have gathered, most grade schoolers are so into it. 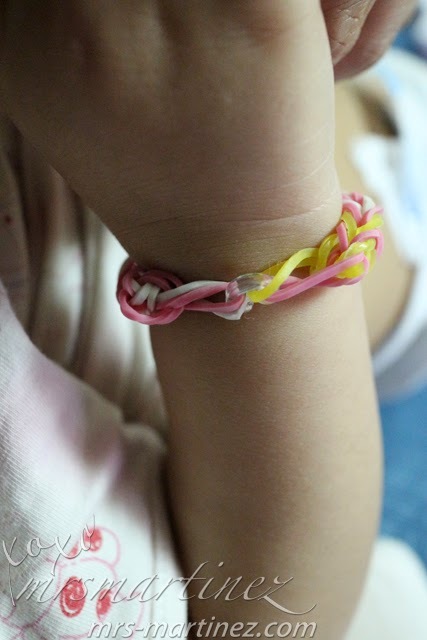 I heard some girls who have entrepreneurial skills sell them for as cheap as PhP 20 per bracelet. 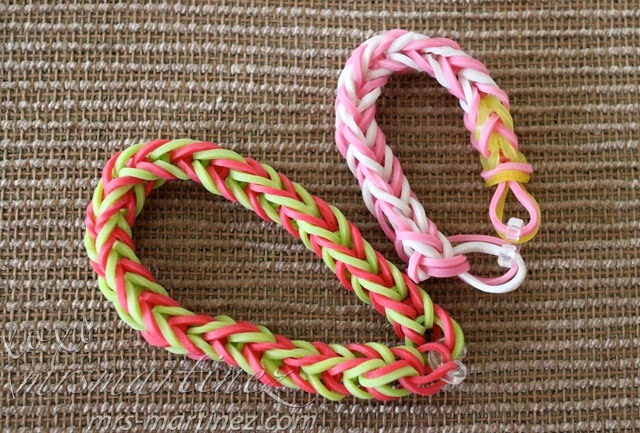 Rainbow Loom is the trend these days but parents should be aware that there are fake or counterfeit already coming out in the market. Click here to learn about the danger of counterfeits and how to spot them. 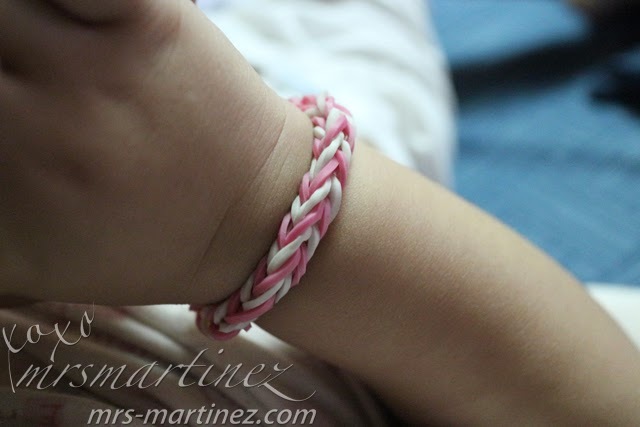 Click on the video tutorial above if you want to watch and learn how to make a fishtail pattern of the Rainbow Loom bracelet. 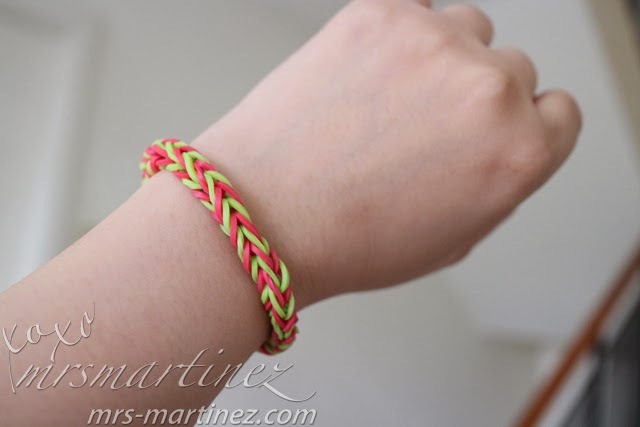 For other Rainbow Loom patterns, click here. Enjoy and thank you, Danni!